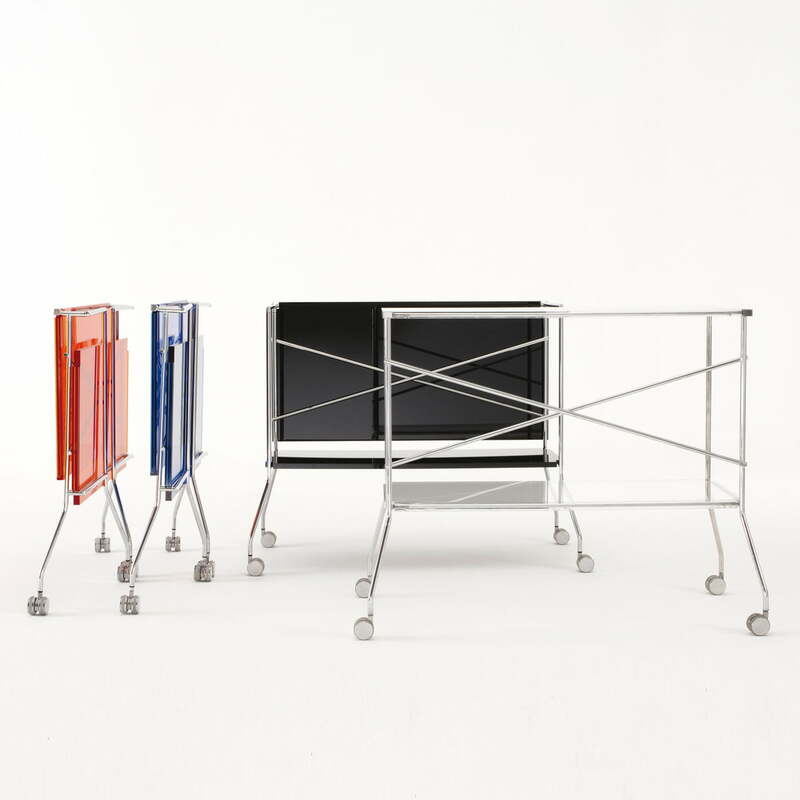 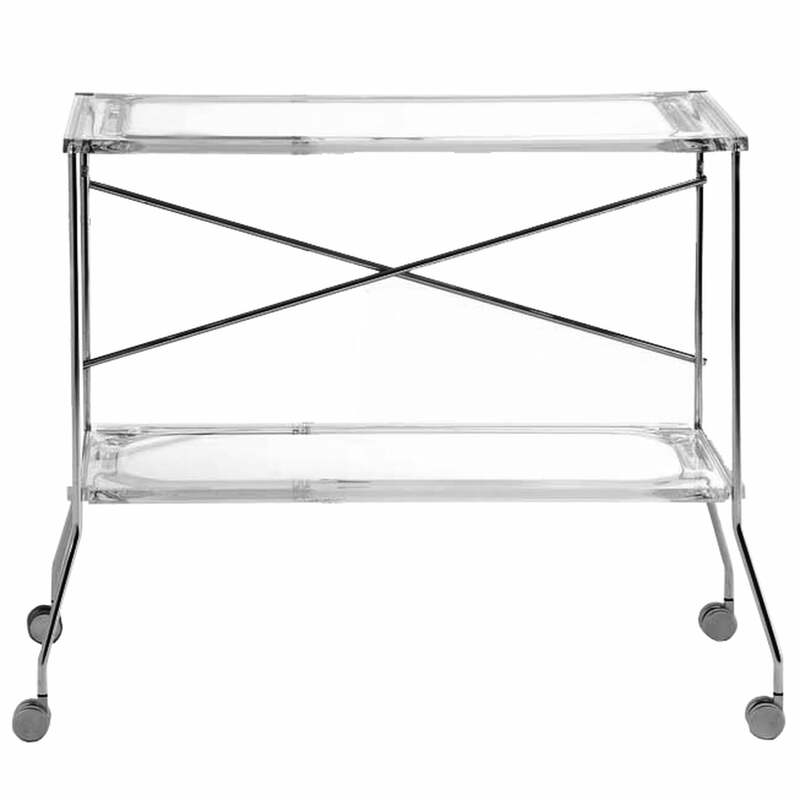 Kartell brings transparency into the world of hostess trolleys and serving trolleys with Flip: Flip is a versatile, foldable hostess trolley that presents a successful combination of a metal structure and plastic shelves. 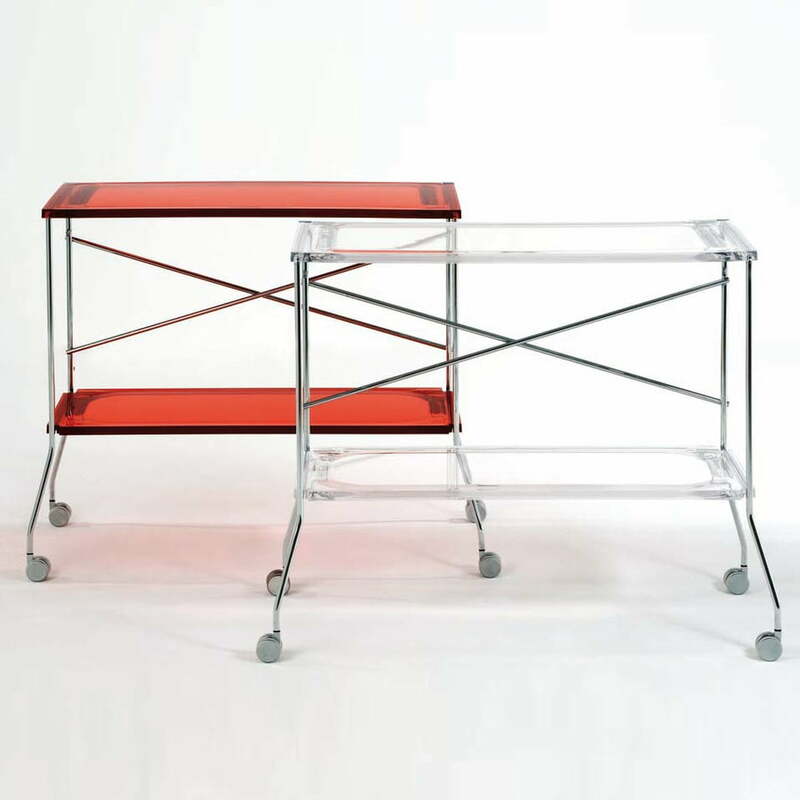 Flip was designed by Antonio Citterio in cooperation with Toan Nguyen. 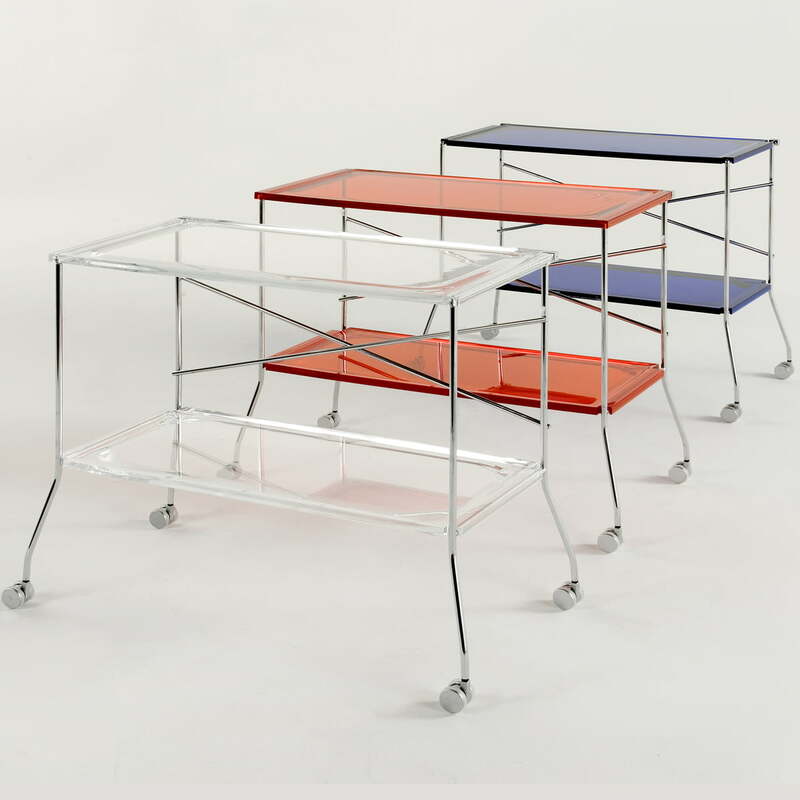 The trolley shelves which are independent of each other consist of polymethyl methacrylate (PMMA). 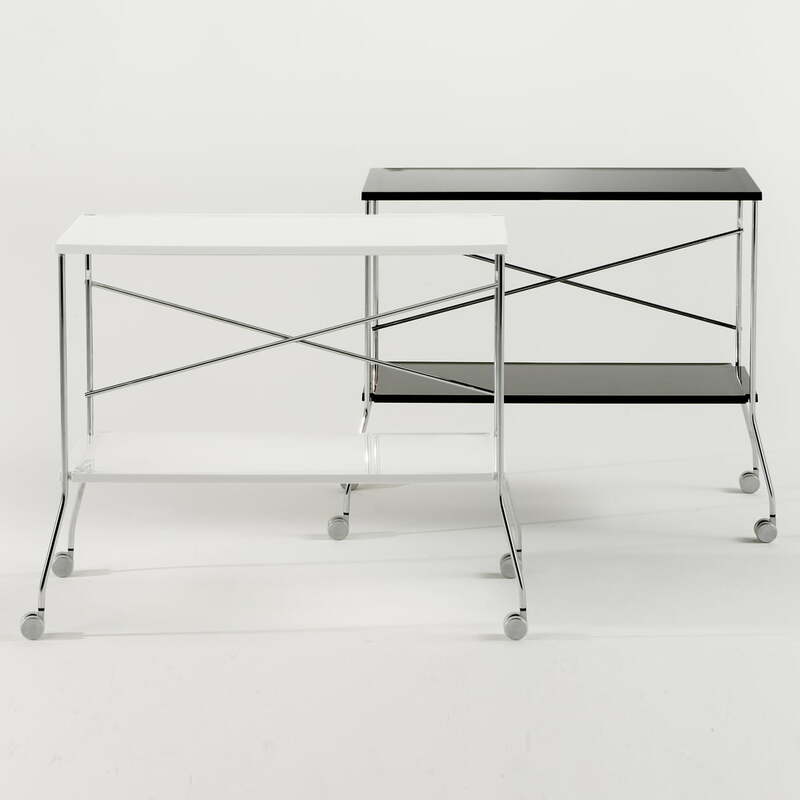 They represent the extreme synthesis of functionality and the pursuit of aesthetics with their lens-shaped profile. Flip can be used as a hostess trolley, perfect for aperitifs or the buffet and also as a practical side table for the sofa. 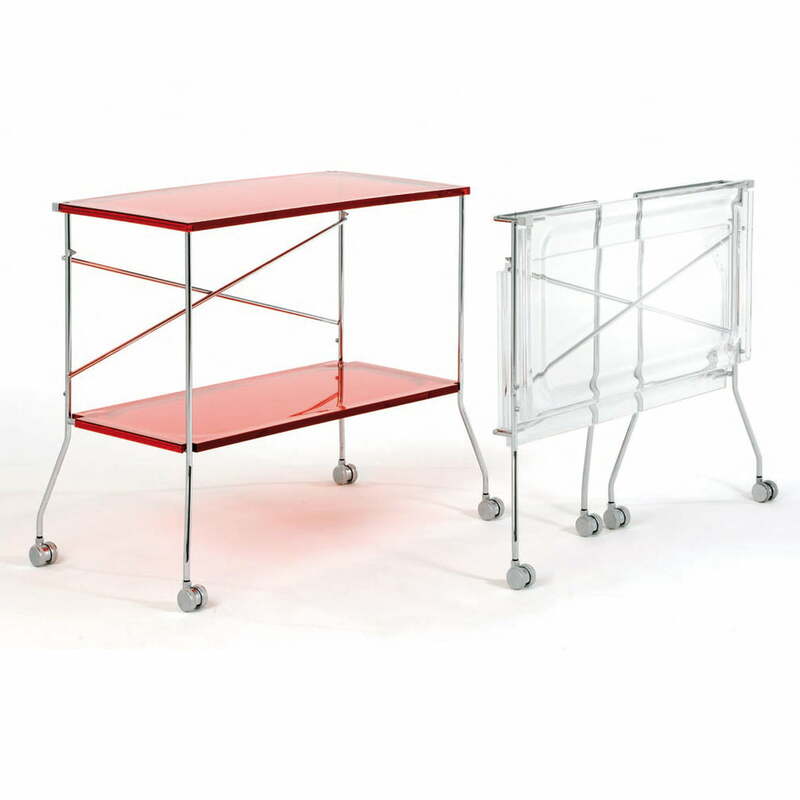 The shelves can also be used singly according to your needs. 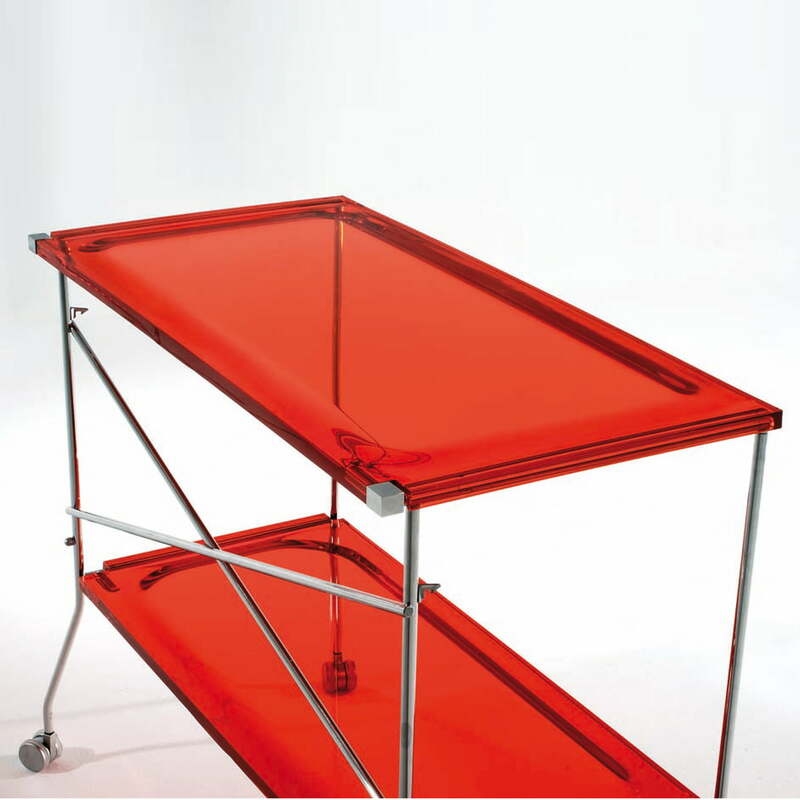 The Flip trolley can be folded after use to save space.